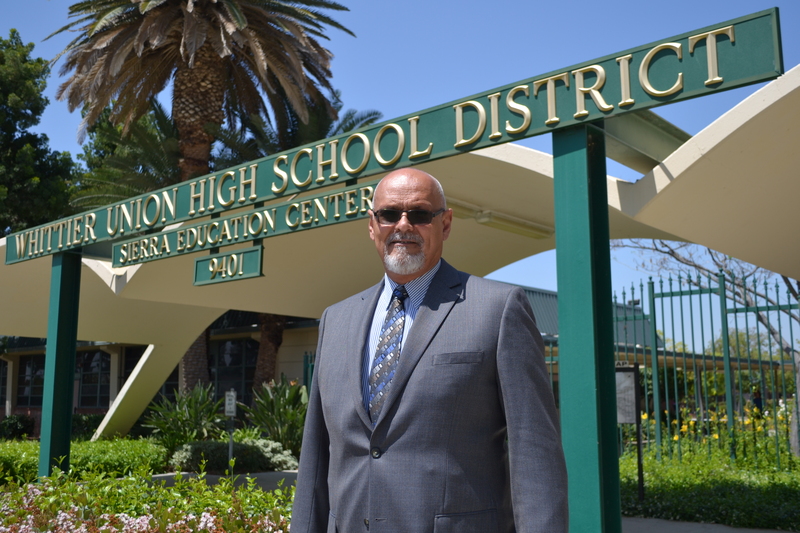 WHITTIER – Twenty five-year transportation veteran Rafael Delgado has been selected to lead the Whittier Union High School District’s new transportation department, which is set to launch service to area students on July 1. Delgado – who previously worked at the Los Angeles County Office of Education coordinating special education routing in the San Gabriel Valley and South Bay/Lennox areas – most recently served as the director of transportation for the Fullerton Joint Union High School District. He has also served as a transportation consultant, assisting districts in improving their routing efficiency, policies and practices. Since joining Whittier Union in March, Delgado has worked on analyzing current routes, evaluating past pricing structures and examining the Pupil Transportation Cooperative (PTC) bus lot adjacent to the District Office. He has also built positive and productive working relationships with staff, ensuring that he is immersed in Whittier Union’s established culture of trust, respect and high-quality customer service among students, staff and stakeholders in Whittier Union and the six partner school districts the transportation department will begin serving in the fall. “I am very excited to lead this new department, work with a team of talented individuals who have served this community for many years and explore ways in which we can improve the transportation experience for our students, while keeping families apprised of each new development,” Delgado said. The District is hosting a series of parent meetings in July during which they can meet Delgado and other key personnel, learn about plans for improved services in the weeks and months to come, and receive materials related to their child’s transportation service. Meetings will be held from 7 to 8 p.m. on July 11-12 and July 17-18 in the District Office board room, 9401 S. Painter Ave., Whittier. Plans for the department include infusing state-of-the-art technology programs, including routing software, maintaining all maintenance records electronically and implementing technology applications for parents and sites to track buses and students. The District has met with key personnel from its partner districts – East Whittier City, Little Lake, Los Nietos, South Whittier, Whittier City and El Rancho Unified school districts – to discuss their current needs and areas to focus on in the future. The District is also working with the California Highway Patrol to ensure buses are clear for operation and has implemented policies to ensure the safe and efficient transport of all students to their schools by highly-qualified drivers. “We want to assure our students and their families that this will be a seamless and disruption-free transition that will help us in our efforts to promote regular attendance, reduce tardiness and ensure that students have access to a quality educational program,” Plourde said. For more information about Whittier Union’s new transportation services, call 562-698-8121, ext. 1600. 062518_WUHSD_DELGADO: Whittier Union has selected 25-year transportation veteran Rafael Delgado to lead the District’s new transportation department, which is set to launch service to area students on July 1. Whittier Union has selected 25-year transportation veteran Rafael Delgado to lead the District’s new transportation department, which is set to launch service to area students on July 1.